Militants used heavy artillery near Vodyane, Shyrokyne and Lebedynske. There was a flare-up in shooting in the Mariupol sector on 10 December. The antiterrorist operation (ATO) HQ said in its evening update that 41 attacks were registered in Donbas from midnight to 5 p.m., the majority of them occurring in the southern part of Donetsk Region. Pro-Russian militants fired with 122-mm and 155-mm artillery, banned by the Minsk agreements, on Vodyane, Shyrokyne and Lebedynske. They used mortars, grenade launchers, heavy machine guns and small arms to fire on Shyrokyne, Talakivka, Krasnohorivka, Lebedynske, Hnutove and Pavlopil. A tank also fired on Shyrokyne. In the Luhansk sector, the militants were observed firing with 122-mm artillery on Novotoshkivka. They also targeted Stanytsya Luhanska, Novooleksandrivka, Lopaskyne (grenade launchers, small arms) and Novozvanivka (mortars, grenade launchers, small arms). In the Donetsk sector, the militants used 82-mm mortars near Luhanske and grenade launchers of various systems, heavy machine guns and small arms near Avdiyivka. 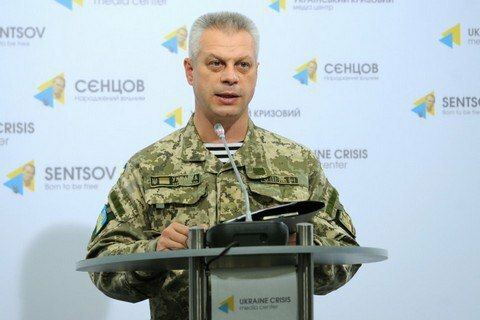 One Ukrainian serviceman was wounded in the ATO area on 9 December, the Defence Ministry's spokesman for ATO issues, Col Andriy Lysenko, said in the midday update on 10 December.